Lexar to Be Discontinued. It’s the end of memory cards as we know it. 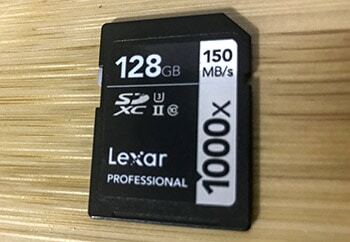 Micron, the parent company of memory card maker Lexar, announced that it is ending its Lexar removable storage business. They are trying now to sell off that part of the business. It may be that Sandisk, Sony, Transcend, Toshiba, or some other card maker will pick up the business and we will continue to have Lexar memory cards available to photographers for the long haul, but photographers would certainly wonder what the quality of the product would become. Either way, Lexar cards will no longer be made by Micron. The reasoning given for the change in the press release was to focus on “increasing opportunities in higher value markets and channels.” Translation? There ain't enough money in memory cards. Micron Technology today announced that it is discontinuing its Lexar® retail removable media storage business. The decision was made as part of the company’s ongoing efforts to focus on its increasing opportunities in higher value markets and channels. The Lexar portfolio includes memory cards, USB flash drives, readers, and storage drives for retail and OEM customers. Micron is exploring opportunities to sell all or part of the Lexar business. The company will continue to provide support to existing customers through this transition period. Customers should contact their Lexar sales representative to discuss specific requirements. I’d like to thank our team members and partners for their contributions to the Lexar business. As difficult as this decision is, the company is making this adjustment in its business to ensure it continues to be well-positioned for the future.